Posted January 10, 2011 in Doctor Doom, Jorge Opazo. 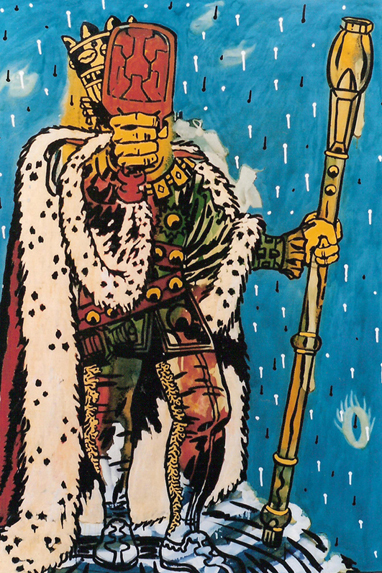 Dr. Doom by Chilean visual artist, illustrator and arts teacher Jorge Opazo. Jorge is the creator of the comic strip Andrei, the story of a lonely cosmonaut, which appeared in the Chilean newspaper El Metropoitano. His paintings, which are inspired by childhood, contemporary art and comics, have been exhibited in Chile, Argentina, Germany and Belgium.